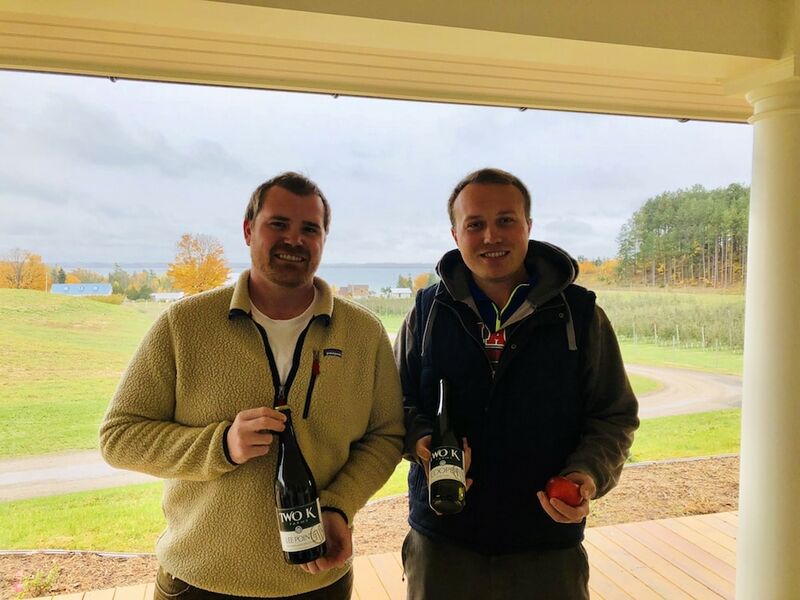 Two brothers with a love for agriculture came north to start their dream business, Two K Farms, a cidery and winery. Nostradamus doesn’t have anything on George and Max Koskela. The brothers foresaw the coming demand for cider seven years ago and began planning for it. They purchased the old Lee family homestead property south of Suttons Bay in 2010 and decided to put their agriculture and business backgrounds to work. The result is Two K Farms, where they grow wine grapes, hops and cider apples. “We’ve been growing apples seven years now. This is really our first full crop,” Max says. And it’s a crop of apples made to order for turning into cider, rather than the kinds you’ll see in a grocery store. “Most apples are dessert apples. They’re sweet, grown for the market: Honeycrisp, gala, red delicious,” Max explains. “Cider apples are more complex, with polyphenols,” George says, referring to micronutrients packed with antioxidants and potential health benefits. They may improve or help treat digestion issues, weight management difficulties, diabetes, neurodegenerative disease and cardiovascular diseases. 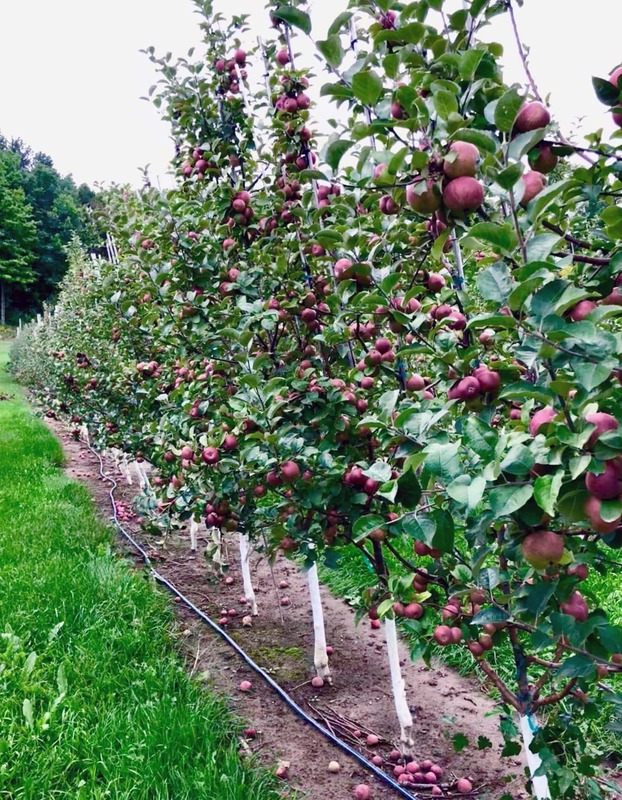 More importantly, they are the kinds of apples which are grown specifically for processing into hard cider, varieties such as Kingston Black, Spitzenburg, Roxbury Russet and Golden Russet. McIntosh and Northern Spy are among the more commonly known varieties which are also endemic to cider-making. Using different combinations of those apples creates different flavor profiles. 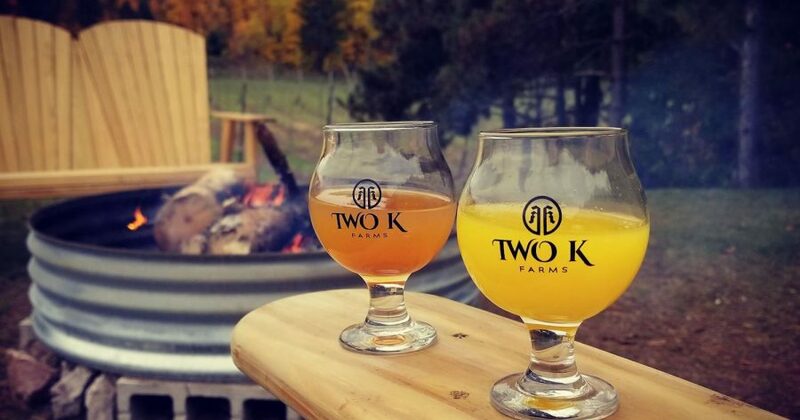 Two K Farms offers several different ciders, such as Arthur, a traditional British pub-style hard cider with a bright apple finish and some acidity; Benjamin, a more American style with a blend of seven apple varieties, including McIntosh and Golden Delicious; and Norman, a French style with a delicate blend of bold and fruity French heritage cider apples. 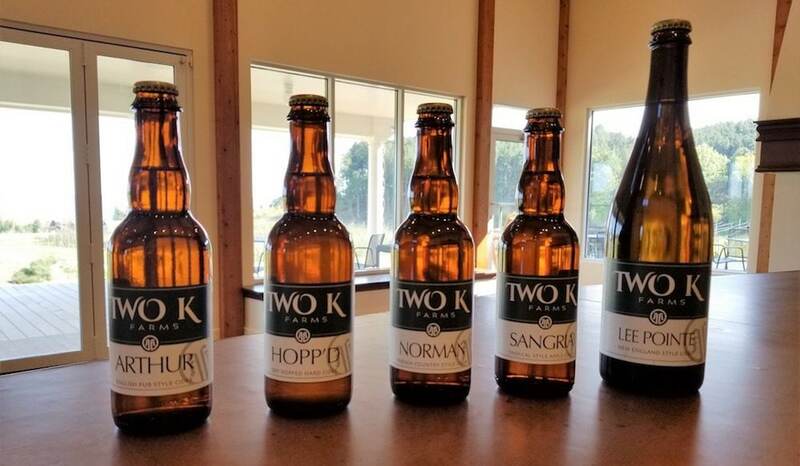 Two K Farms is new itself, having opened the tasting room doors earlier this year. And they’re really just getting started. “We did 10,000 gallons last year and we’ll do twice that this year,” Max says. As is Two K Farms itself. The tasting room, just south of Suttons Bay, is situated among rows of pine trees. 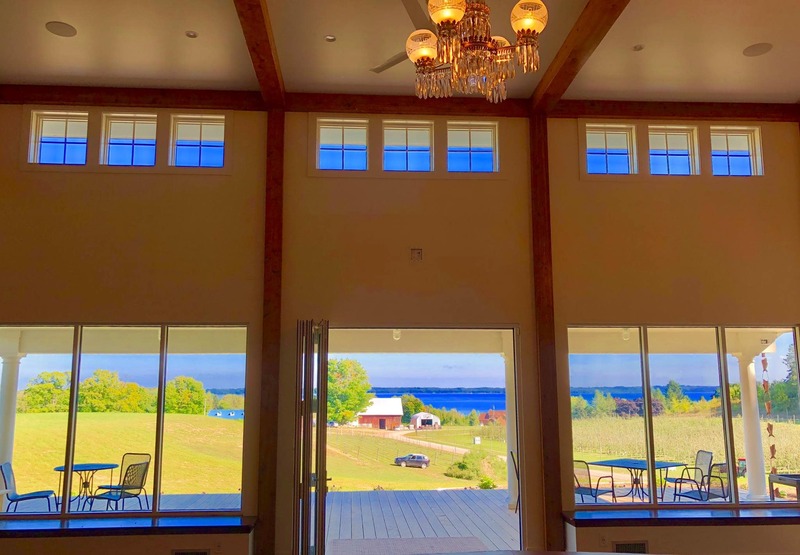 It takes advantage of the beautiful setting with an outdoor patio that overlooks West Grand Traverse Bay. The building incorporates design aspects of traditional Northern Michigan lodges, such as exposed beams. While the brothers grow a variety of crops, they are phasing out the hops in favor of wine grapes and yes, more apples. Such as adding distribution channels. Currently Two K ciders are available in the tasting room and at one location in metro Detroit. The brothers are looking to expand distribution in both restaurants and retail locations. While they look to future growth, they take heart from lessons of the past, in particular how cider was successful in the early days of the country before beer became popular. “In America, before the Germans arrived, we were drinking cider,” George says. They believe there’s room for both in today’s America—starting in Northern Michigan.